For the first time in this series, the Cubs failed to score first. 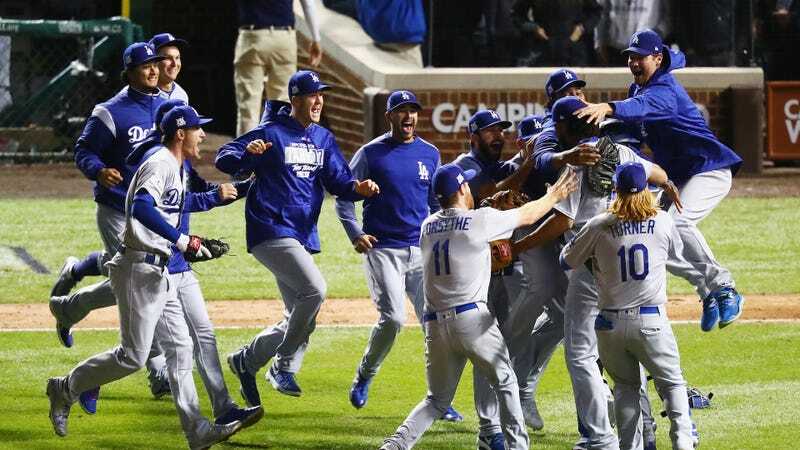 The Dodgers took full advantage, with an 11-1 victory to win their first pennant in nearly 30 years. Enrique Hernandez was the headline-grabber here, with a solo home run in the second inning and a grand slam in the third and a two-run shot in the ninth for good measure. But, of course, it wasn’t just him. Cody Bellinger and Logan Forsythe knocked in one and two runs, respectively, with doubles, and Clayton Kershaw threw six innings marred only by a Kris Bryant solo shot. After he exited, the bullpen continue its recent stretch of dominance by allowing just one baserunner. The best team in baseball—not quite as close to history as they might have liked, but fairly damn close at 104 wins—is one step closer to a chance at tying up the whole thing. After sweeping Arizona in the divisional series, they sucked the Cubs’ offense dry in this five-game league series. They’re as good as promised, and they’re going to the World Series.